From a new voice in historical romance comes this sparkling Regency tale, wherein the elegance of Jane Austen’s Pride and Prejudice and the wit of George Bernard Shaw’s Pygmalion collide. The results are clever, funny, and often quite unexpected . . . Teaching Eliza is a full-length JAFF novel of about 110 000 words. Riana, what’s the story behind the title of your book? And then I discovered that another author, Barbara Silkstone, had the same idea, and the same title, and her publication date was before mine! I contacted her in a panic, and after an initial moment of “uh oh!” we started talking about what we should do. The first thing I learned was that Barbara is a truly wonderful person. She had all sorts of ideas of how to deal with similar premises behind two books coming out so close together, and we did a little bit of joint publicity. While she never asked me to change my title, I decided that for both of us, it would be better to have different titles. Her novel was coming out in a few days and I still had three weeks, so I started scrambling. The second thing I learned is that nothing is final until it's final. Mae, my cover artist, whipped together a new cover with the new title in record time. A quick email to the lovely people hosting my blog tour explained the situation, and since it was before publication, changing the information on my ISBNs was a simple matter. What at first seemed like a looming disaster turned out to be much ado about nothing, and I feel a bit like a winner in this because I got to know some terrific people in the process. MRS. HIGGINS: You certainly are a pretty pair of babies, playing with your live doll. HIGGINS: Playing! The hardest job I ever tackled: make no mistake about that, mother. But you have no idea how frightfully interesting it is to take a human being and change her into a quite different human being by creating a new speech for her. It's filling up the deepest gulf that separates class from class and soul from soul. HIGGINS: [assailing her at the other ear] Yes, by George: it's the most absorbing experiment I ever tackled. She regularly fills our lives up; doesn't she, Pick? PICKERING: We're always talking Eliza. Teaching Eliza seemed perfect! This is the essence of the play and the novel – but what my Professor Darcy does not quite realize with his Eliza is that while he is shaping her speech and manners to become those of a lady in high society, she is having her own influence upon him. Unlike the Greek myth, Darcy doesn't fall in love with his own creation, but rather he falls in love with what was already there, now that his eyes have been opened enough to see what was always in front of him. Home has been a lot of places. I was born in Johannesburg, South Africa, but we left when I was a child, and I lived in the Middle East for a few months before coming to Canada. I grew up in the prairies, then lived in Montreal for a while, and finally settled in Toronto. It has taken a long time for Toronto to feel like home, but now – despite the weather and the awful traffic – I can't imagine living anywhere else. The thing I love most is how multicultural it is and how (for the most part) everyone gets along. There are parts of the city that are Chinese or Indian or Greek or Italian, and every community has its restaurants and shops, and everyone is welcome. When my sister-in-law married an Indian man, we all went down to Little India to buy clothing for the wedding. When we feel like vegan Chinese food, we have so many restaurants to choose from. I do much of my grocery shopping at a little Italian supermarket, where a lot of the products are European and where the old ladies talk to the kids putting out the produce in Italian, and where there is an entire aisle dedicated to olive oil. Part of multicultural is CULTURE, and that's also something I love about this place. We have a terrific symphony, opera company and ballet, and we are home to, or within a short drive, of some of the best theatre in the world. From mega-musicals like Phantom of the Opera to tiny productions in basements under corner stores, this city is a dream for theatre-lovers, and in the summer we can often be found taking in three or four plays over a weekend at the Stratford Festival or the Shaw Festival, just a couple of hours out of town. This is something we've taken more and more advantage of over the last few years, and it's really wonderful. Be confident. Don't listen to that little voice inside that says you can't. It's wrong. You can. People telling me what I already know . . . and what they know I already know! Putting myself out there in the world. I'm a musician, so I'm comfortable on stage, but I have the music to hide behind. When it's just me, with nothing between me and the world . . . that makes me nervous! Watching my kids grow up and seeing the amazing people they're becoming. Heights! I am terrified of heights. Planning new adventures, whether they are physical (such as trips to new places) or more internal (such as plotting out a new story). This is a hard question. I am a lot of different things, or have been over my life. To my kids, I'm Mom, the person who feeds them and commiserates over problems and gets angry when no one cleans up the mess in the kitchen. To some people I'm the chef, who is always coming up with something new and hopefully edible in the kitchen, or the artsy one who gets everyone involved in a sewing project or who crochets little creatures to give to friends. My different hats include academic, musician, writer, researcher, taxi-driver for my family . . . the list goes on. What I really am, at heart, is someone who is happiest creating things, whether from sound or food or words. And if some of what I create makes other people smile, then I'm all the happier for it. I joke that we met after a concert where I was in the backup band. I was studying music in Montreal and a friend was giving her graduation recital. For one of the pieces on the program, she had chosen a Mozart horn quintet and asked me to join the quartet of strings, which I was delighted to do. At the party after the recital, she introduced me to another friend of hers, who had come to Montreal for the recital. We started talking and kept talking. He walked me home – an insane distance across town – and asked me out on a date the next night. We talked all through the night again, and when he finally headed off to catch his train back to Toronto, he sent me roses from the train station. We were engaged six weeks later and married less than a year after that. So yes, I guess that counts as love at first sight! Wow! That's incredible! How did you create the plot for this book? A couple of years ago we went to see a performance of Pygmalion at the Shaw Festival. I've seen a few productions of this play over the years, but this one was fascinating because it was set in the present. Henry Higgins took his notes on an iPad, and Eliza Doolittle's speech exercises were read into a computer, which displayed the audio waveforms and spectrograms of her voice. It worked. It worked brilliantly, and it got me thinking about how art can transcend its original context. In other words, a good story can work in different settings. Well, this is a key part of Pride and Prejudice variations, and I began to wonder how these two classic tales would mesh. As it turned out, they meshed beautifully. The characters mapped one onto the other so nicely, with only slight tweaks here and there to get them to suit the combined story. The two tales also allowed me to rethink old favourite characters and introduce new ones, and the story really wrote itself. Ask me this when I've got my mystery closer to publication! In Teaching Eliza, I suspect I'd do in nasty Mr. Wickham (even though he is so much fun to write about). He thrives on gossip and would surely hear the news of how I've maligned his character. He would lure me into some hidden part of Hyde Park with the incitement of some amazing plot twist and would have me pecked to death by wild pigeons. Yikes! With what five real people would you most like to be stuck in a bookstore? A.S. Byatt, Mary Wollstonecraft, Ludwig van Beethoven, Eleanor of Aquitaine (Eleanor’s court at Poitiers largely focused on courtly love and symbolic ritual and was reported to have attracted artists and poets, and to have contributed to a flowering of culture and the arts), and King David. I would NOT want to be stuck anywhere with Agatha Christie because someone would not make it out alive! I hope that by the time this is posted, I'll be reading Most Anything You Please by Trudy Morgan-Cole. She is a Newfoundland-based author and a friend, and I've ordered her latest paperback and hope to have it in my hands within a few days! It's hard to choose a favourite, because so many places have their own unique charms. But there is a library in Toronto that specializes in children's books. The library itself is lovely, with open spaces and natural light, but what makes this building special is the entrance. The double doors are set into a deep arch, and are guarded by mythical creatures and woodland animals. One one side of the doorway is a griffin, and on the other is a winged lion, and smaller animals are tucked around each sculpture. It's just a lovely an whimsical entrance to the space, and it creates an aura of magic and wonder that kids should associate with books and reading. Hermione Granger. I'd love to be able to do magic and do it well! I decided to self-publish because of the greater control I have over my work and my schedule. 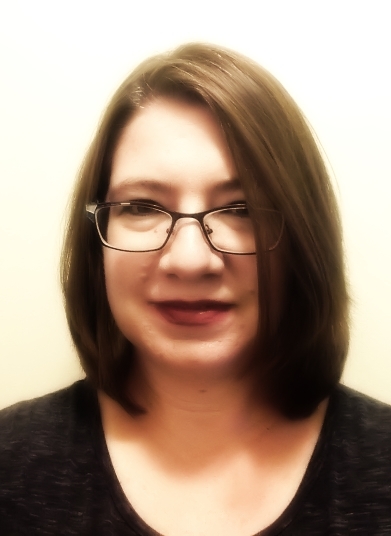 It involves more work at my end, such as finding my own editors and cover artist, and learning the technical ins and outs of formatting material for electronic and print publication, but there is a satisfaction in that as well, and I can do it my own way. Are you happy with your decision to self-publish? I am happy with my decision. I have been writing for a while, but until Teaching Eliza, had not published anything. One of my author friends has been encouraging me for a while to publish, and when I showed her the manuscript, she almost shouted at me to pick a date and just do it. I had a similar response from another author whose work I respect a great deal, and so I did it. I chose a date, took a deep breath, and plunged in. Being in complete control of the novel and all the details around publishing allowed me to do this: to set a goal some two months down the road, to organize the publicity I needed, and to see it through to completion. Even the change in title, which I mentioned above, was easy to manage because everything was under my control. I did a lot of the work for Teaching Eliza myself, but I know my limits! I did not hire an editor, but I enlisted a small army of ridiculously intelligent and over-educated friends and other authors to offer feedback and proofread through various incarnations of the manuscript. I'm lucky to have some amazing authors as my friends, whose grammar and whose opinions I trust, and we trade off proofreading for each other. Where I did go to a professional was for my cover art. I can find my way around a graphic design program and can produce something that's nice, but I wanted more than nice. 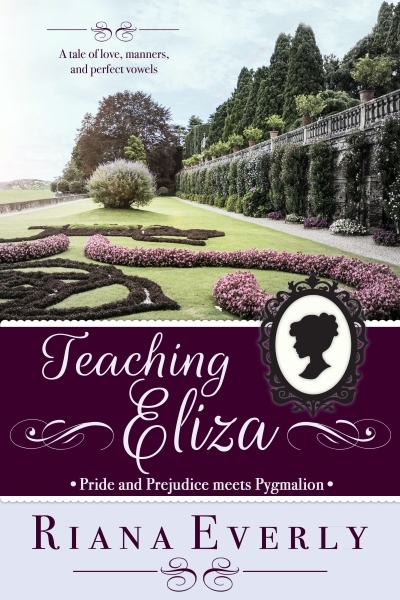 At the recommendation of an author friend, I found Mae Phillips at Coverfresh Designs, and she came up with the cover for Teaching Eliza, as well as for my upcoming novel. Her work is lovely and she was able to take my general ramblings (“something like this, but different”) and give them shape. I have every intention on going back to her for all future covers. I am polishing another Austen-inspired novel for publication within the next few months, titled The Assistant. This one is a prequel to Pride and Prejudice, and tells the story of Elizabeth's favourite aunt and uncle, the Gardiners. For such a sensible and established couple, their courtship involved all sorts of adventures, from hidden identities and scheming relatives to adventure across the ocean! I have also completed the first draft of a murder mystery set in Austen's fictional town of Meryton that was a ton of fun to write. It will be the first of a series of six mysteries with the same two sleuths: Mary Bennet and a professional investigator from London. Riana Everly was born in South Africa, but has called Canada home since she was eight years old. She has a Master’s degree in Medieval Studies and is trained as a classical musician, specialising in Baroque and early Classical music. She first encountered Jane Austen when her father handed her a copy of Emma at age 11, and has never looked back. Riana now lives in Toronto with her family. When she is not writing, she can often be found playing string quartets with friends, biking around the beautiful province of Ontario with her husband, trying to improve her photography, thinking about what to make for dinner, and, of course, reading! 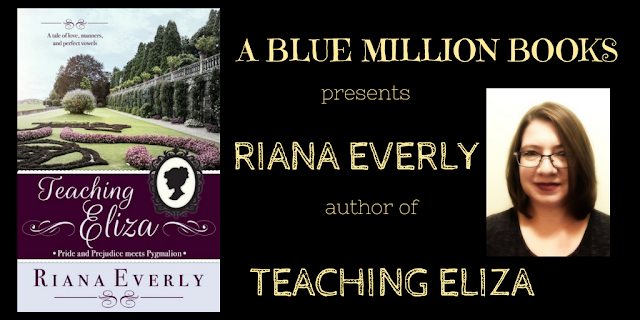 Riana's debut novel, Teaching Eliza, was recently listed on a list of 2017 Favourite Books on the blog Savvy Verse & Wit, for which she is honoured and delighted and very proud!